NaNoWriMo week three is ending and there is only one week left. Where did the time go?! It was another slow week and I’m actually a little behind, but I have almost reached my writing goal. I said at the start of week one that, while I would love to reach 50,000 words, what I really wanted was to write more than I did last year. My final word count for last year was 35,870 words. This year, I am already at 33,361 words and firmly believe I will beat my number from last year. My story has taken some interesting turns and my characters have definitely taken over. It started out as a dystopian fantasy novel and has somehow developed into a dystopian fantasy that deliberately uses clichés and references films and books to essentially make fun of itself. I have no idea how I reached this point with it, but I’m enjoying it. How is your novel coming so far? Have you reached your word goal? “Alright, awesome,” Herro said, staring at the device intently as if willing it to come to life and tell him where he had to go. 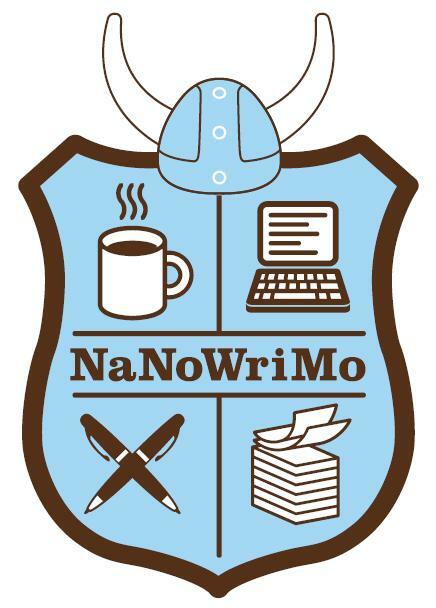 Come say hi on NaNoWriMo!